Yesterday, I told a woman she had very pretty blue eyes. We stopped for gas in Laurel, Nebraska, and within thirty minutes, half the town knew we were there. I was stopped at a light and a guy in a black pick-up Ford asked if I was on the way to the classic car auction. I said no. Mariam went into a bar to order our lunch. I wanted a “real cheeseburger” this time and not another McDonald’s salad. I triple parked with the R-Pod and headed for the little Post Office across the street. I lucked out. They had an international stamp that would allow me to mail a post card to a friend in Australia. On the way out of the P.O. door, a woman–a complete stranger–asked if that cute little trailer was mine. I said yes. She said she had seen it at the gas station a few minutes ago and wanted to know if I was going to the classic car auction. I said no. We talked. I asked her what it was like to grow up in the Nebraska prairie. She said it didn’t snow as much as it used to do when she was a little girl. In those few minutes, she described a life that could have been lived in many places. As she headed for her car, I told her she had very pretty blue eyes. She blushed and said thank you for the compliment. Mariam emerged from the bar with the sandwiches. We headed west on Route 20, again, but this time I bit into a 4-star burger that had it all. It was a long way to Valentine, Nebraska, but I was a contented driver now. Today, however, didn’t play out the way yesterday did. In fact, when I turn this iMac off in a little while, I will probably have trouble sleeping. My heart is sad tonight, and my sleep may deliver dark dreams. I hope this isn’t true, because I bought a dream-catcher. They’re supposed to deny bad dreams from disturbing one’s sleep. The day began to slide south when we entered Pine Ridge, South Dakota. You may know that this is arguably the most distressed Indian Reservation in the “system.” The unemployment rate is said to be around 92%! When we pulled into a Shell station, I was being stared at by most of the Lakota Sioux townsfolk that were sitting on curbs and doorways. Small bottles poked out of small brown paper bags. I, who was wearing expensive sunglasses, could stare back without it being noticed. I felt awkward. I felt like some preppy kid on a “slumming” field trip to see how the other half lives. The junction of Pine Ridge was in the center of a vast failed experiment on the part of the BIA (Bureau of Indian Affairs) to offer the Native Americans a slice of the pie–their pie–that we (white Americans) had taken from them. We not only took the land, we stole their spirit, their nobility, their honor, their history and their lives. I was on my way to visit Wounded Knee, the site of a savage massacre that effectively ended the Native American resistance to our greed. The backstory is long and complicated so I won’t go into it here. I recommend Dee Brown’s Bury My Heart in Wounded Knee, if you want a complete history of what Manifest Destiny meant to the original owners of this land. I read the book over thirty years ago and now it was time for me to make a pilgrimage to this awful site and pay my respects. What I found was not what I expected. There were no U. S. Government historical markers (at least none that I could find). There was some signage but it looked hand painted and homemade. I took the left turn and drove the nine miles or so to where this massacre took place. But I was having trouble finding the exact site. Now, I realize, that armed with a proper history book and maps, I could probably have found it, but like so much else on this trip, I simply didn’t have the time to spend. Because of that fact, I felt callous and rushed about the visit. So, after a few wrong turns (I’ve made a few) I found the general location of the killing. I say “general” because it wasn’t in just one spot where the bodies of over 150 Lakota men, women and children were found. Indeed, they were found along the Wounded Knee Creek–for miles! The reason for the tragedy? Accounts differ, but it boils down to a major portion of the 7th U. S. Cavalry were on hand to keep an eye on the Sioux. A string of events unfolded quickly. Chaos abounded. Soldiers fell, some it is said, was by friendly fire during the ensuing riot of guns and blood. This took place on December 29, 1890. The Sioux were gathered for a Ghost Dance. It was to be their final Ghost Dance. It was the end of hostilities. The various tribes were rounded up. 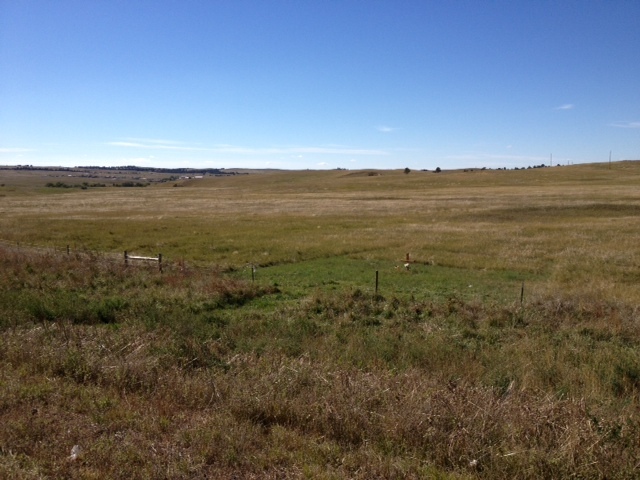 Some of their descendants still live in and around Pine Ridge. I stopped at a small and shaded souvenir stand near the Wounded Knee Creek. The items for sale numbered only a few. There were three families using the stalls to sell their things. I bought a dream catcher from a woman. She looked at me and thanked me for buying from her. She didn’t have bright blue eyes. She had sad brown eyes that told me of a hard life spent in that God-forsaken town. She didn’t have to say a word to me. I could see her soul through her eyes. These moist dark brown orbs were her portal to the times when her people rode with pride and grace and without fear across the endless prairie. So, now I sit in my R-Pod, one hundred miles to the north and think of things that are and of things that once were. I’m looking at the dark-skinned woman’s dream catcher and I pray that it catches the dreams I don’t want to have this night…or any night. 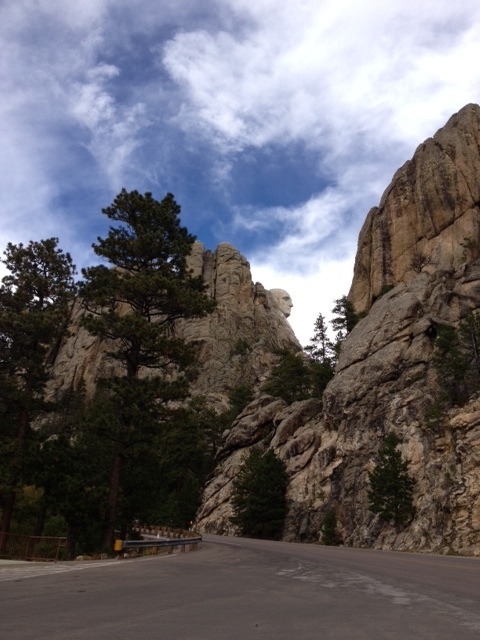 Tomorrow, I’ll stand and stare at four white Presidents carved like gods into the rock edifice of a mountain. 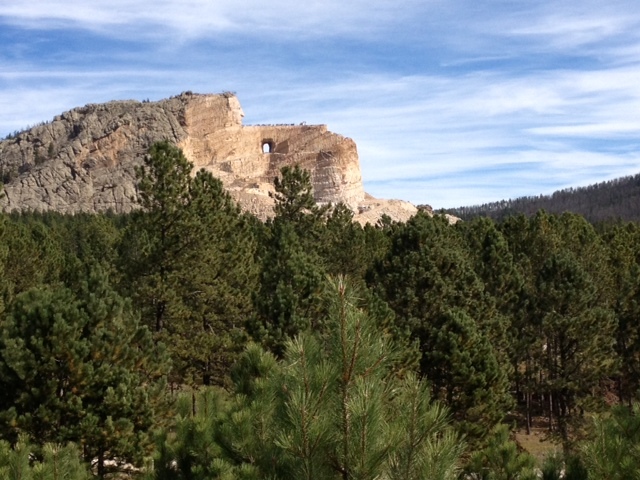 Later, I will stare at a mythic figure of Crazy Horse carved into a nearby mountain. The great American Poet and Literary Goddess of the Prairie, Willa Cather, once said: “I was raised by a tooth-less bearded hag…I was schooled with a black strap across my back…but it’s alright now, in fact it’s a gas.” Hold on, I don’t think that was Willa Cather. No, after rechecking my sources, I find that Cather wanna-be named Mick Jagger was the author of that famous American line. I’m beginning to understand her meaning. 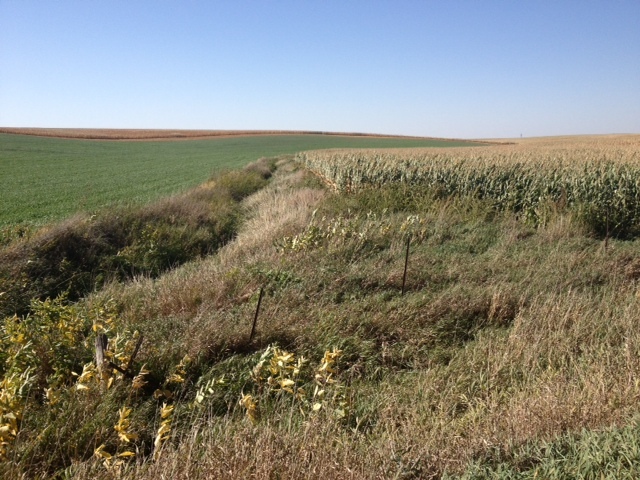 We’re getting deep into the very edge of the center of the Great American Prairie. With each day that passes, as I watch this world go by from the driver’s window of our Ford Escape, I sense that I am delving deeper and deeper into the shallow soil that covers these vast ranchlands. Yes, I am becoming part of the very geography itself. My left arm is getting brown. My gray hair is dry and wind-tossed into a teasingly innocent thatch of salt. Just enough of my well-tanned neck is seductively visible beneath my tussled hair and my Wrangler shirt collar. Yes, I gain insight every second I exist in this amazing place. Right now, that amazing place is central Iowa. We speed along Highway 20. I am becoming one with the land. With my increasingly keen eyesight, I see something in the road, ahead. There goes one, across the pavement, from brush into brush. I know immediately it’s a “side-winder” snake. Like the ones you seen in the cowboy movies. There’s another. Can it be? Can it be that we are driving Highway 20 at the exact time of the Great Side-Winder Migration? It can’t be. This occurs only once every quarter of a century. God has granted me this sight. This was a once-in-a-lifetime chance to witness the Great Migration of these rare snakes. There’s more in the road in front of us. I slow. I don’t to kill any of these innocent creations of God as they make their way to the Breeding Grounds north of Iowa. No one is behind me. I slow to a stop, pulling over on the gravel shoulder, pebbles clicking against my R-Pod. I reach behind me to take hold of my new Nikon D3200. I need a shot of this! It’s then that I realize that the strong breeze is actually blowing strips of dried packaging from a Chinese Take-Out back in Waterloo. I get out and pretend to check my tires, just in case someone is watching. Checking my tires is something I REALLY intended to do right now. I even snapped a few pictures of the tires to drive home the point…just in case someone is watching. I want to see the endlessness of these infinite lands. At a rest stop (boy, there aren’t many of these around). There is a hill. 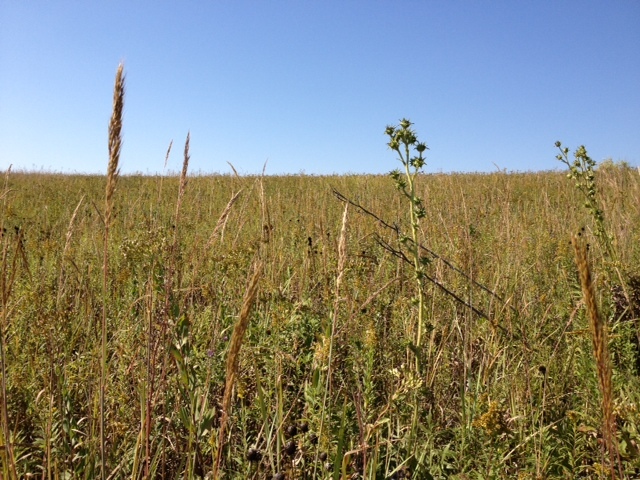 I climb to the top and read a sign about the Grasslands that are now almost gone. I wanted to see the Empty Quarter. The lack of human landmarks that Willa Cather spoke about. I wanted to get depressed looking at this forbidding landscape. And, there it was! Gently rolling hills that disappeared into the haze of distance. What’s that? It’s a cell phone tower. Over there? 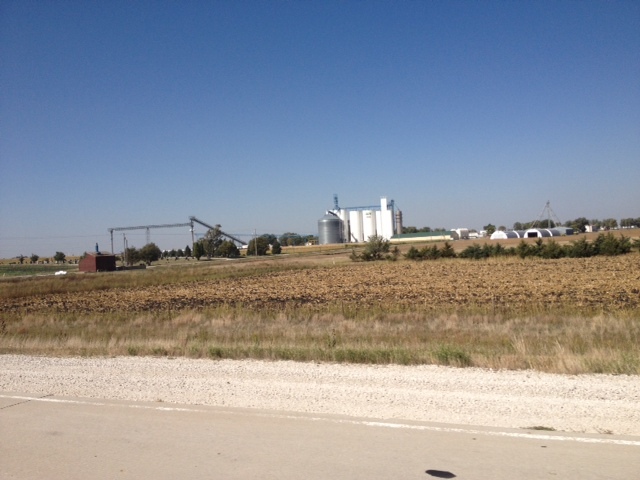 It’s a mega-farm with silos as tall as the Empire Building. I got back into the car and headed to North Sioux Falls in South Dakota. I was hoping not to get it confused with Sioux Falls, Iowa or South Sioux City in Nebraska. We parked in a KOA RV site. The guy that rode a golf cart and led us to our site lost no time in noticing the bikes atop our car. Hey, he said, you can bike about three miles on the bike path by the entrance and see a herd of Buffalo. I thanked him, and looked at the bikes. Just then I felt a familiar stabbing pain in my lower back. There’ll be plenty of Buffalo to look at in the days ahead. I headed to the picnic table. I stretched my legs and then turned through the pages of the Sioux City Journal. I saw a help wanted ad for the position of Corn Receiving Specialist. I wondered if that was entry level or management. While Mariam began dinner (hey, I drove) I decided to walk over to the office to buy a pint of ice cream. As I strolled down the lane, I passed a guy with a hand-held iPad type of thing. I told him that I loved having my iPad Mini along to help in Google searches. I asked what he had. A Kindle Fire, he said. A reader, I thought. Yup, he said, this the only way my wife allows me to gamble. On the way back, I had to walk around a few times because I couldn’t find our R-Pod among the gigundo RV trailers that surrounded me. But, I found our little trailer. I am getting to be so good at being in this amazing country. Someone I’ve been searching for appeared before my eyes today and it wasn’t very far from Herbert Hoover’s grave. We had just crossed the Mississippi River. The Mother of North America Rivers. Say what you want about the Hudson, Rio Grande or the Missouri; Big Muddy is what rivers are all about. Yes, the mighty Mississippi…Old Man River…the Aorta of America…the Main Drain…separator of a continent…where the Eastern Dandy leaves his top hat behind and dons a Stetson and hip-straps a Colt. St. Louis, Vicksburg and the Big Easy, New Orleans all feed at the shores of this legendary waterway. Yes, we crossed it today. It took about forty-five seconds…but it was toll-free. Not bad considering you’ve entered another world. We pulled up at the first Welcome Center Rest Stop. I stretched my legs even though we had not gone that far. It doesn’t take many miles for my legs to get crampy and stiff. This was the Salt Kettle Rest Stop. It seems salt was discovered in the area in the early 19th century. The rusted salting kettle was on display near the parking lot. I read the historical marker about a nearby town, where Herbert Hoover was born. Eighteen wheelers were parked along the mid section of the pavement. It was cool and cloudless; perfect conditions for a sunburn of my left arm as we headed west. We started down the ramp to access the Interstate…that’s when I saw him. 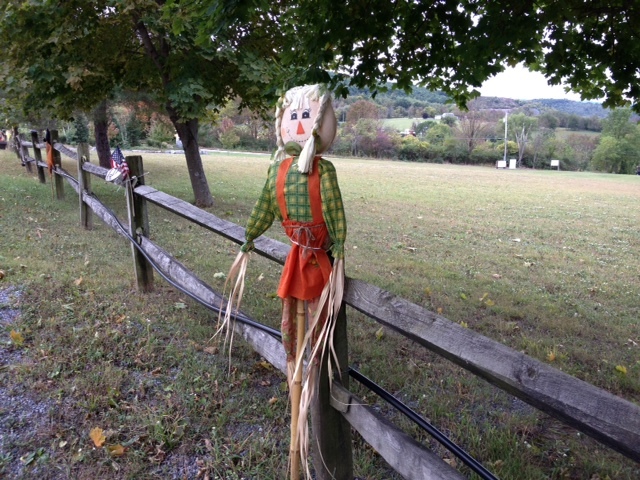 He stood there near the end of the driveway. There was a small bundle at his feet. He looked me in the eye as we drove past him. I returned his gaze. This was a drifter…a modern day Oakie…a Hobo…a Loner on his way to a million somewheres. He didn’t have his thumb in the air, he didn’t need to. Any driver who took the time to see him, really see him, would know that he was waiting for a ride…any ride. I can’t say the guy was homeless, at least not in the sense of how we’ve come to think of homelessness. No, I think he had a place…or did once. Perhaps he was going back. Maybe he was leaving. Did he just leave a job in the wheat fields? Was he looking for the job in the wheat fields? There was not time for me to stop and speak with him. I couldn’t get a photo so you’ll have to use your imagination. There was no time for anything except a moment of eye-to-eye contact. I’d like to say that he smiled ever so slightly from his unshaven face, but I can’t say that. His expression was one of…of no expression. Just a direct, unapologetic momentary stare. His head turned slightly as we passed him. I hope he could see that we had no room for another person. I’ve been waiting, watching and hoping for over a thousand miles, to see a man of the heartland…a Woody Guthrie, a Tom Joad, a specter from a Dorothea Lange photograph standing by the Blue Highway, a mute shade of a largely forgotten subculture of America. I hope he could see that I wasn’t judging him. In those few moments, I saw a lifetime…not mine, but his. I had everything, a wife, a place to sleep, a car and a plan. Part of me can’t help but think that he lacked some of what I claimed as mine. It shamed me to think this way. I knew nothing about this guy. No, I wasn’t judging him, I didn’t know a thing about him. But, in some odd way, in some strange inexplicable way, I liked him. We were on our way to Rock Island. When you’re busy doing hard traveling, like me, you can get caught up in the “hypnosis of the highway”. I know I do. You watch the road ahead. All safety alerts are on, but your mind can begin to wander. We had just crossed the Illinois state line. I was staring at the thread of pavement in front of me; I-74…and I started to think about stuff. My wife was sitting shotgun quietly calculating our gas mileage. How we doing? I said. We’re getting about nine mpg, she replied. I laughed. No really, what are we getting? About nine, she said again. What do you mean by nine? I said. We’re getting about nine miles a gallon, she said once again. I’m asking about mpg, I said, this time with a manly voice. How many miles per gallon are we getting? No joking, ok? Nine, she said, yet again. I dropped the subject. Clearly she didn’t understand what I was asking. I turned my attention to the road. My mind began to drift about. I tried to figure out if you’re really supposed to pronounce the “s’s” in Des Moines. Either way, it sounded funny. I looked about me as I clipped along at 62 mph (in a 70 zone) and noticed something very unusual. Most of you know (or should) that I’m a retired earth science teacher. I’ve been trained to look deep and hard at the landscape. With my expert eye, I was startled to notice the nearly complete lack of hills or mountains out here on the edges of the Great Prairie. Basically, I was looking at flat land. Really flat land. Most of it was also being farmed. Crops I knew well like corn covered endless acres. There were also little brown plants, all dried up from late summer. These too were crops, I surmised with an expertise that surprised even me. I just wonder what they were. No little small white things on them so that ruled out cotton. I guess it’s all pretty much corn country out here. Yes! Out here! Where men had sunburns and the women hung clothes on lines in their backyards. These were real people here, unlike some places I’ve been. Then my visual scan changed to focus on the windshield. I didn’t realize that the bugs that smashed against the glass were made of so many interesting colors. I counted about a dozen yellow smears, about six greenish ones and several dull white ones…well, sort of off-white if you wanted an exact description. One was actually bluish. I began to take notice of the many signs for colleges and universities that were located in nearly all the little towns. Lord, there were plenty of them. So this is where all the farm kids got educated. I saw a sign for Jubilee College. I mean I never heard of Jubilee College. I never knew anyone who actually went to Jubilee College. I turned the radio on hoping to hear some Mozart or perhaps some John Coltrane. Instead, I was blasted by the most insipid music I ever heard. Station after station played songs with lyrics like: “I want to, I want to, I want to, but I can’t”. As I spun the digital dial, the rest of the stations played songs, most of which had lyrics with the words Lord, hand, mission, love, pray, walking, joy and sin. This is a God-fearing country out here. Then a strange thing happened. I caught a glimpse of a milepost sign that read: 137 Miles. But, 137 miles to what? From what? I began to feel better when I realized that I had seen a sign like that before. Basically, from just about anywhere you are, it’s 137 miles to someplace. Maybe a few exits down the road and I would find out. So, here we are sitting in our cozy little R-Pod. I just heard a train whistle, then the bells indicating a hook-up or track change. That train whistles. That lonesome sound. It calls ramblin’ guys like me. Time to move on…time to hop the dusty boxcar. Time to put some miles between you and that floozy back at the bar. 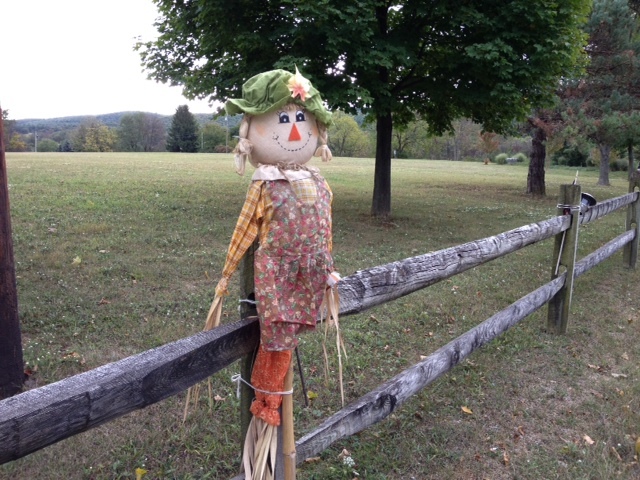 Her name is Wanda, and she’s got more miles in her eyes than a Rand McNally. 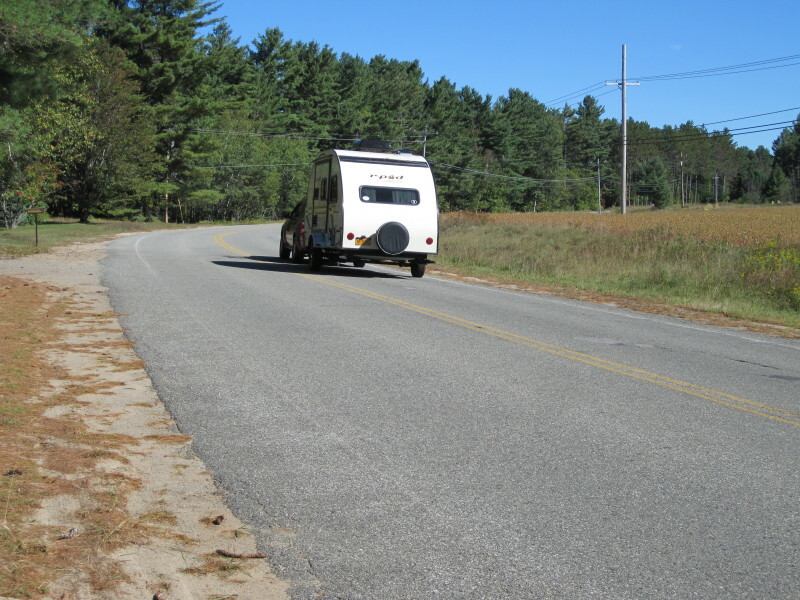 It’s the call of the road…. wait a minute…I’m already on the road. I’m already traveling. I’m already a pavement-pounding gentleman of the highway. I don’t have any place to go in a boxcar. That’s good because I get hay fever really bad and need a hankie when I’m around dust. Gordon Lightfoot sang about being “Alberta Bound”. I’d like to sing that too, but we’re not going to Alberta…we’re going to Orting, WA. As I wind up this post, I think about the day I just had. 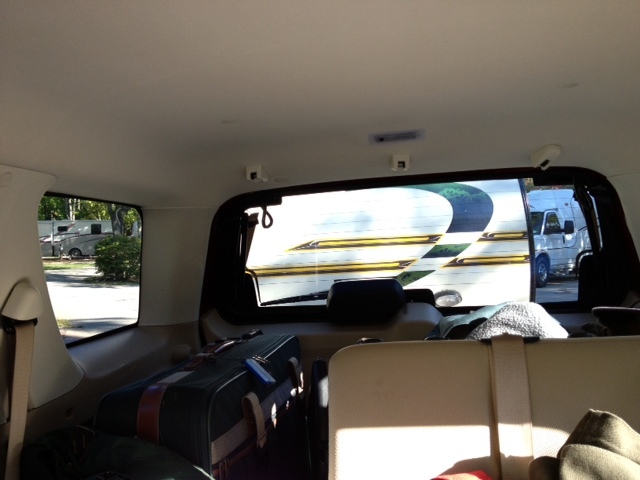 I saw through the front windshield the places I was going to…but what about where I’ve been? I looked out of the rearview mirror to see my recent experiences fade. All I saw were the bugs smashed against the front of the R-Pod.